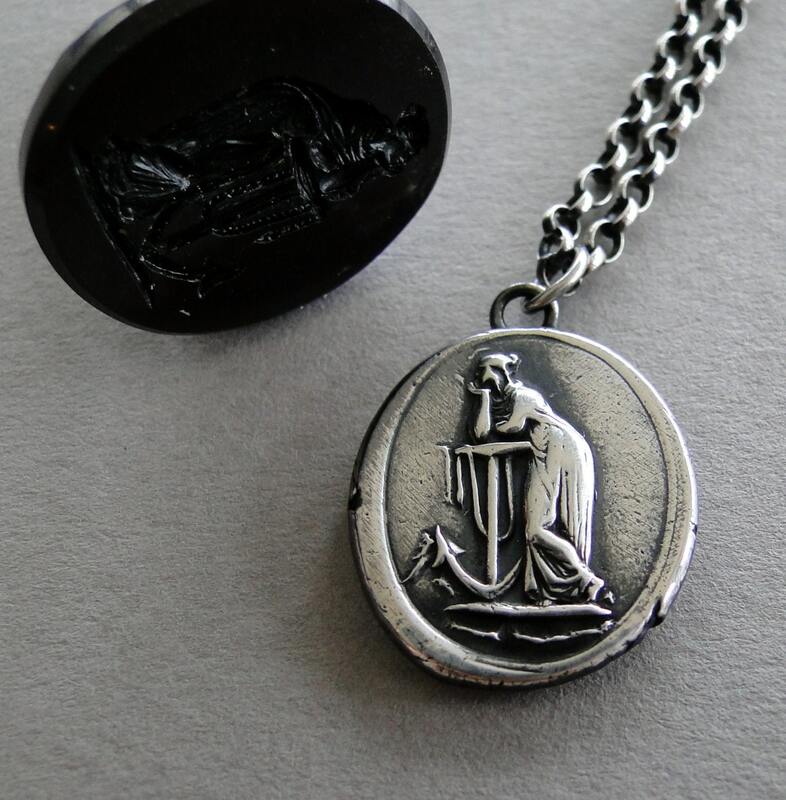 This wax seal stamp features a large anchor with a classically dressed lady leaning upon it. 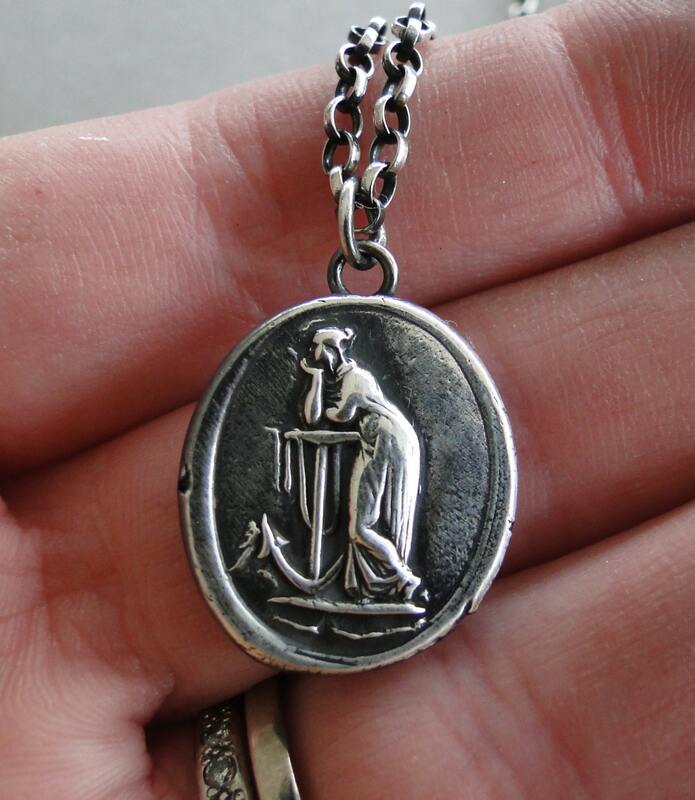 The impression was taken from a wax seal stamp the was originally made by Josiah Wedgewood* in the 18th century. 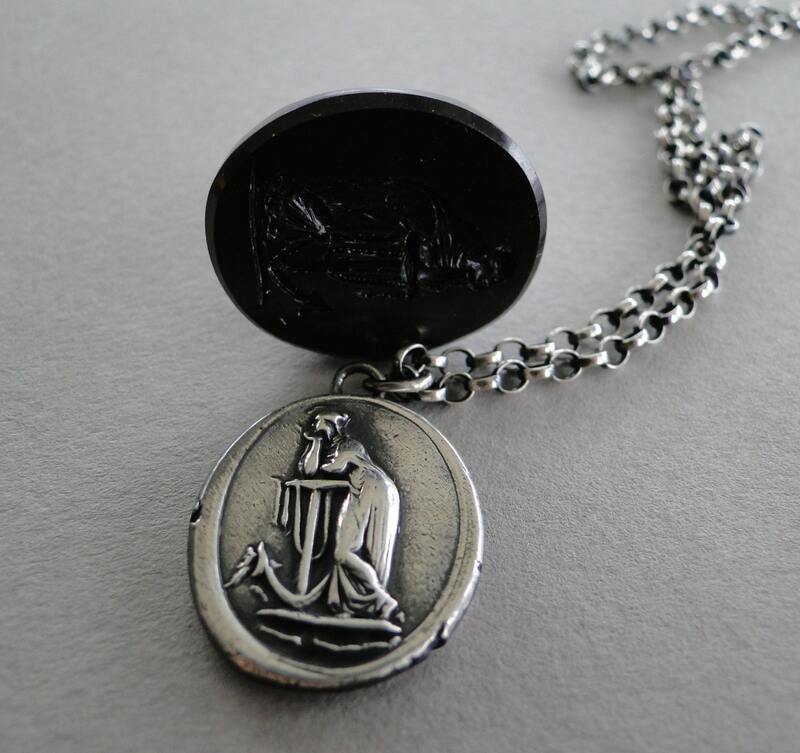 This wax seal stamp is one of the larger seals in this shop and weighs 7grams of solid sterling silver. 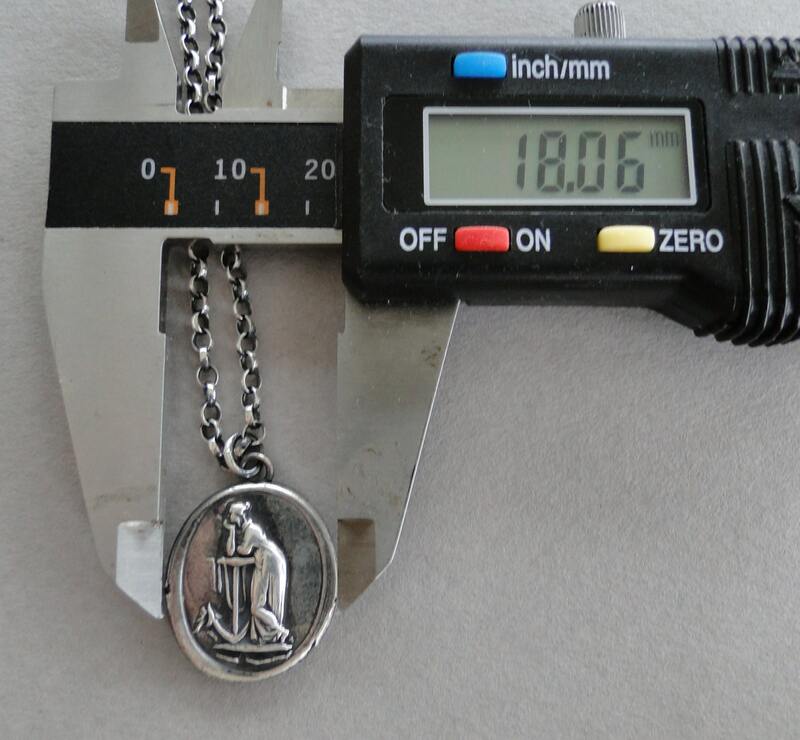 The pendant itself measures just over 18mm across the centre. This can alter slightly however due each piece being made individually by hand. Each link and jump ring has been soldered with sterling silver solder, so you don't have to worry about loosing your piece. * Josiah Wedgewood 12 July 1730- 3 January 1795 was a famous English potter and founder of the 'Wedgewood' company. He was a prominent abolitionist and is famous for his 'am I not a man and a bother?' medallion. He is the grandfather of Charles Darwin.